this weekend the weather finally cooled down a bit and it feels like fall is slowly making it's way to LA. there are a couple of items in my closet that i am dying to wear (this utility jacket was one of them), but the hot weather hasn't been helping! 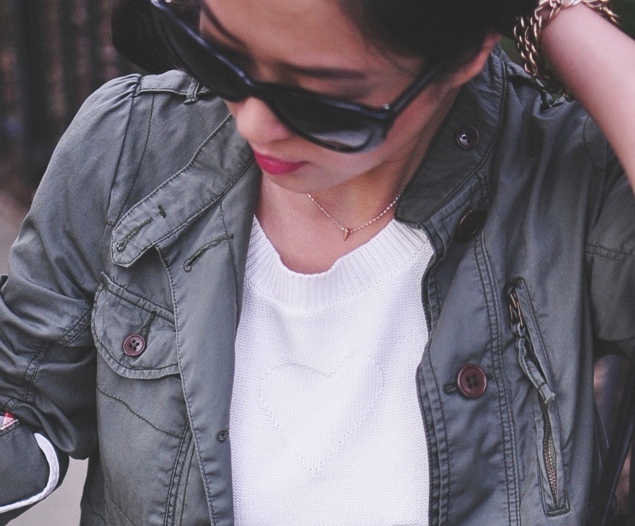 in the fall, utility jackets are my "go to" jackets. i have 3!! so that should explain my obsession with them. it's lightweight but gives just the amount of warmth during the daytime and night time. the best part about these jackets is that it can easily give you that street chic look! well i hope you all had a wonderful weekend! 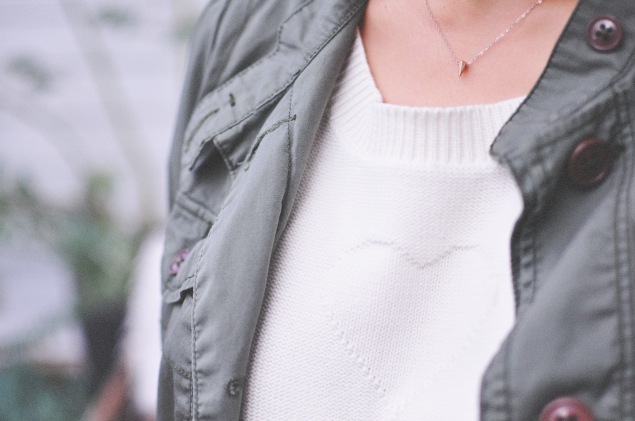 Love utility jackets too! Great for all year round in sf. i totally agree! i take it with me whenever i make a trip out to sf! obsessed with this outfit jin. 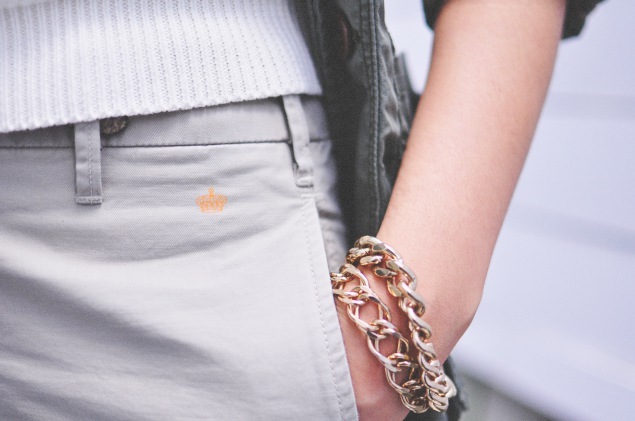 So streetstyle, and love the gold bracelets and utility/army green top! xO! you should look into this utility jacket! i love the length and how it has a string to tighten the waist. and i'm glad i got you to purchase the zara tee! it's a great staple with a hint of "cool!"